Content Beauty & Wellbeing changed my life and the trailblazing founder Imelda Burke is my hero. Now, I know these are pretty bold statements, so let me explain. As some of you may know from reading my first ever post “My Green Beauty Journey”, I found my way to this ‘lifestyle’ after being very sick for quite some time and deciding I needed to make a change. One of those changes was with my skincare products and one night when I was (again) in London for work, I found myself wide awake at two in the morning googling every ingredient in the products I had brought with me and being completely shocked and angry at what I discovered (mineral oil in everything for starters). I vowed there and then to replace it all but I had no idea how or what to use instead and that’s where Content came to the rescue. I simply googled “organic skincare london” and thankfully, their website popped up. After having quite an extensive browse around, I settled on the Tata Harper Deluxe Beauty Set (similar here), ordered it and the rest is history. If they hadn’t been there to make things so easy for me to delve in to the green beauty world during a time when I was sick, tired, frustrated and away from home, I don’t know if I would have continued on this path and if I hadn’t, so much in my life would be different now, including having this blog so, yes, Content changed my life. Imelda herself struggled with illness and through acupuncture and holistic nutrition was able to avoid surgery and because of this realized the need for a place like Content that could be a green beauty shopping destination as well as somewhere for treatments like acupuncture, meditation, nutrition guidance as well as spa services like facials, manicures, grooming and makeup application. Thanks to Imelda, Content has been there since 2008 – long before green beauty was literally in Vogue (article here), long before now cult green brands like Tata Harper and May Lindstrom were around and long before other companies jumped on the bandwagon to monetize the burgeoning industry. Imelda and Content have been there from the start – championing organic, natural and plant based skincare, educating people on the healing benefits of nature and advocating for change in order to first and foremost, help people. Because of her personal experiences she wanted to make a difference and she has massively done that and not just for me, which is why she is my hero and I will be forever grateful to her. 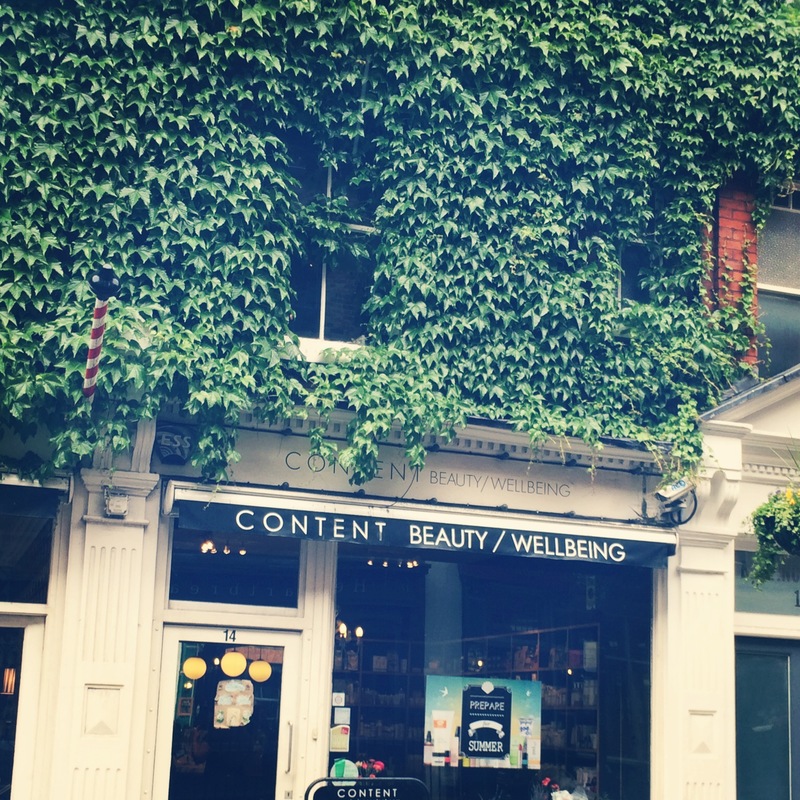 So, the lovely little Content shop is located on a little street in Marylebone, minutes away from Oxford Street and just around the corner from Selfridges and is a must visit whenever I am in town. It’s a beautiful cozy space that is just packed full of amazing well known brands like Pai, OSKIA, Aurelia and Odacité, as well as new and niche brands like Supernatural Beauty, AS Apoth, S5 Skincare and Nouri. The staff are amazing (hello Shelly and Alex!) and their treatments are divine. I was very kindly treated to the most beautiful Tata Harper Facial with the incredible Karina and let me tell you – this woman is like no one else, I adore her! There’s such a great vibe in the shop and despite it’s size you could easily spend hours in there just pouring over every single product and falling in love with the beautiful brands they stock. 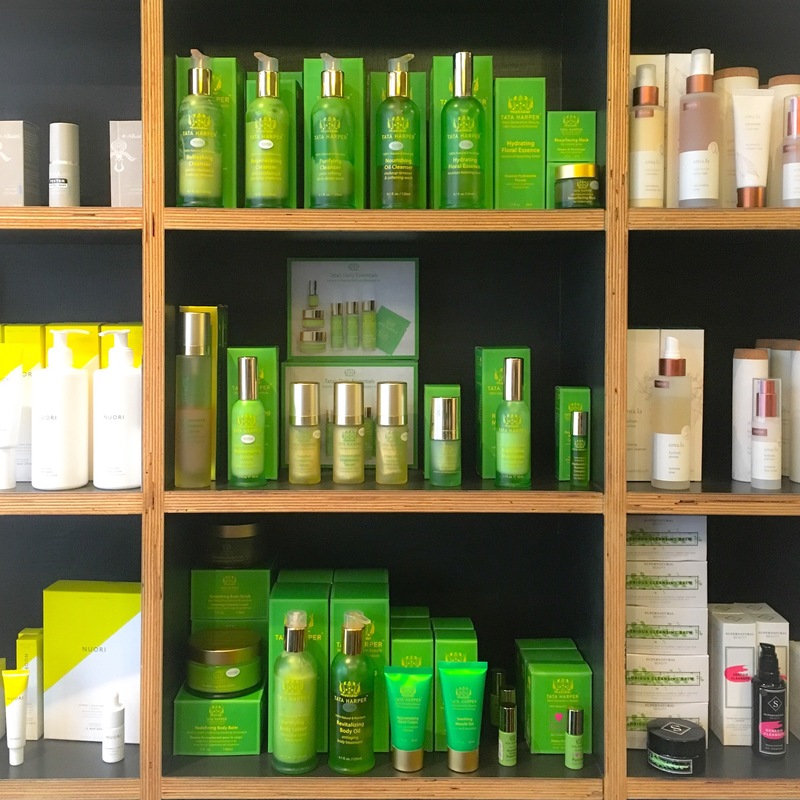 If you’re in London you have to give them a visit – they are all so helpful and knowledgable and as an added bonus, it’s currently the only place in the whole city where you can go in and actually see/sample May Lindstrom’s products right there in store, which I know for all you Brits, is a huge deal. 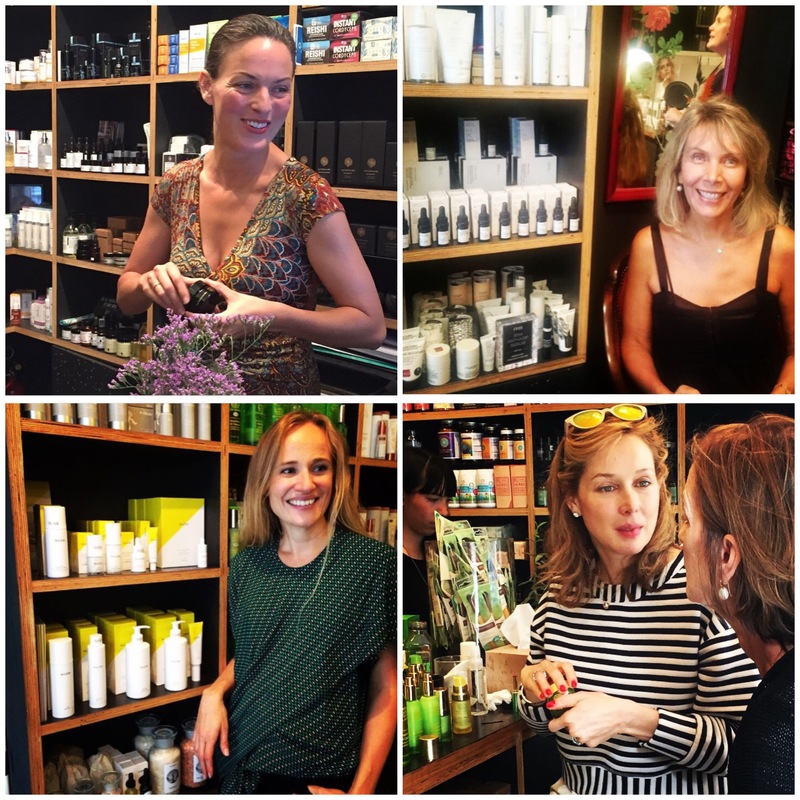 (Clockwise from top left: May Lindstrom, Valérie Grandury from Odacité, Tata Harper, Jasmi Bonnén from Nouri at the Content shop). Arly: You seem to be a champion of small batch, locally produced British brands – why is this important to you? Imelda: There are several reasons for this. ‘Small – batch’ is in part the reason for the store. When I opened I could see that brands that were locally made and ‘small-batch’ produced (either by choice or manufacturing volume requirements) were not being championed in the retail market – they were too small to be of interest to the department stores and some were too premium for the health food stores so I wanted to showcase what they were doing amongst our selection of cult international organic brands. This sector is actually what I consider to be the true ‘luxury’ sector in the beauty industry. In most other consumer products (fashion, jewellery, wine) the items that are hand made and limited edition are deemed the best quality money can buy – but for some reason when it comes to the beauty sector the premium sector is often mass-produced and machine made. When it comes to British brands, Content made it’s name launching what are now considered the leading international natural brands into this market – brands such as RMS Beauty, Vapour, Ilia, W3ll People, Strange Invisible Perfumes, Lina Hanson, Dr Alkaitis, Odacité, May Lindstrom, Amala and more…all started their UK/EU lives in Content. Around 2013 the offering started to change here in the UK and more British brands appeared which matched our criteria. So in October 2014 we launched the Great British Beauty Collection – a selection of the new brands we thought were doing interesting things. Skin and Tonic, Liha, A.S Apoth and Bouclème joined the existing brands Therapi Honey Skincare, Ambre, Pai, Aurelia and OSKIA. From this we have continued to profile new British brands – La Belle Lune, Amly, Nathalie Bond and Supernatural Beauty are four of the more recent launches. Arly: I’m sure you must get so many product submissions – what do you look for and how do you choose what ends up being sold at Content? Imelda: It’s a lot of factors – obviously it starts with the ingredients. I stock products that contain synthetic ingredients but do edit further than a lot of stores do and encourage customers to question their skincare as much as the food they eat. There are reasons why we do stock synthetics for example some are allowed under organic certification. But as the store has been part of an emerging sector within the beauty industry over the past 8 years I have always wanted it to be a place where people felt comfortable enough to ask questions so they can decide for themselves what they want to use. No one else should be deciding what you put in or on your body. Authenticity is a big thing. I’m not looking to stock brands that are just cashing in on a trend. They have to believe as much as I do in offering people a choice and an alternative to mainstream beauty brands. Just as important though are the people behind the brands – they need to be passionate about what they are doing. I’m not really interested in brands that are just doing it to catch a trend and make a quick buck. You can feel the difference in the quality of products too – I call it the ‘made by someone, not something’ factor. The effectiveness and packaging obviously come into it, too. I’ve always wanted to present brands that can compete and hold their own with the mainstream sector on both look and how it works. I also look for brands that have independent clinical trials on their claims. If a brand has all of the above there is literally no reason to use a synthetic mainstream brand. You shouldn’t have to compromise on results or the beauty of a product just to go ‘natural’. Arly: I have recently made some exciting discoveries through you (La Belle Lune, Therapi) – what new British brands are you currently excited about and why? Imelda: All of them! If I had to choose from the most recently launched probably Amly. I love the combination of organic ingredients, silver-rich water sourced from their own organic farm and more advanced technical ingredients like copper peptides, plant probiotics and hyaluronic acid. It’s the perfect mix I look for in brands. I also love what Edition Perfumes are doing too – combining great design and concepts with natural perfume. The others are under wraps as we are about to launch them. Arly: What are your overall favourite British brands that you think people should know more about and why? Imelda: Pai Skincare has been a complete trailblazer in the organic sector. They started as what we would have considered small-batch and are now making their way to becoming one of the leading organic brands in the world, which is exciting. I also love the Ila Spa range – it’s such a wonderful range (I’m addicted to their bath salts and oils). You can tell with one use that someone who really understands how products can enhance your overall wellbeing is behind it – the world is a better place with this range in it. Arly: If your skincare routine could only consist of British brands, what would you use for each step? The time I was lucky enough to spend with Imelda and these five questions just reaffirm why I love this woman – she just gets it. 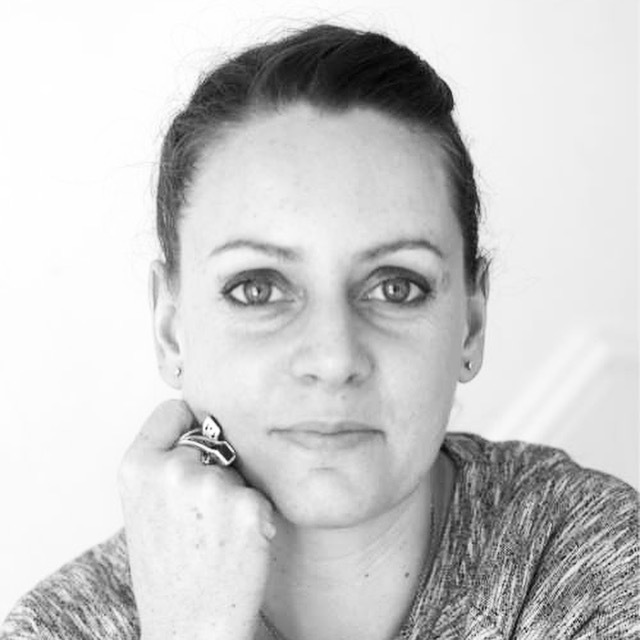 She gets it better than anyone else I have spoken to about the green beauty movement and I appreciate her work and input so much because of it. Content is interested in much more than just selling products and that’s what makes it such a special place. Even though their brick and mortar is all the way in London, they have an excellent online store that ships worldwide for free (and their packaging is beautiful) and they frequently have wonderful GWP offers and discounts. I highly recommend you sign up to their newsletter (here) because it is so informative and interesting. Content and Imelda have some really exciting things in the works and I am so happy for her success because it has been a long time coming and very well deserved. P.S. – you may have noticed that Imelda did not fully answer question 5 and that’s because being the green beauty expert that she is, her “Best of British” skincare routine was an extensive one and that post will be up tomorrow in full with a very, very exciting giveaway that I cannot wait to share with you! Stay tuned! Next > Best of British: Imelda’s Skincare Routine and Giveaway! Wonderful interview! I wish we had such a wonderful place in Western Canada. 💕💕💕 Imelda and Content. True trailblazers.